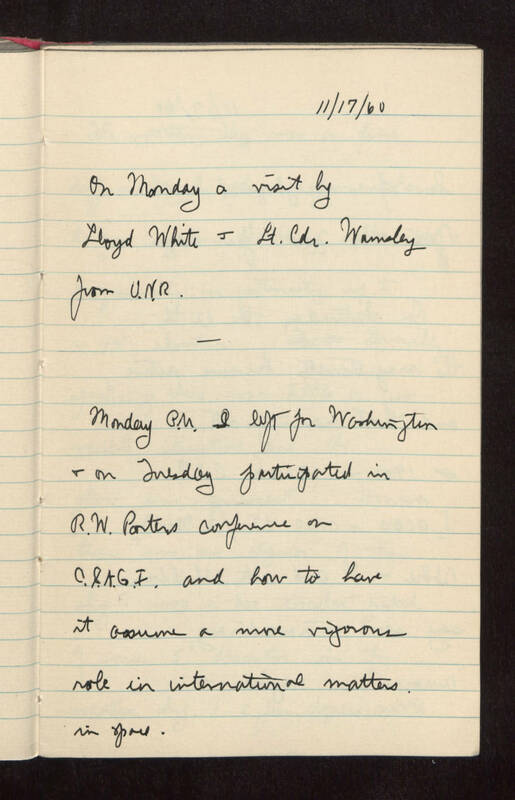 11/17/60 On Monday a visit by Lloyd White and Lieutenant Commander [Wamsley?] from O.N.R. Monday P.M. I left for Washington and on Tuesday participated in R. W. Porters conference on C.S.A.G.I. and how to have it assume a more vigorous role in international matters in space.